Officer Lombardo started his career with theYolo County Sheriff’s Dept. He always wanted to be a K9 Handler. 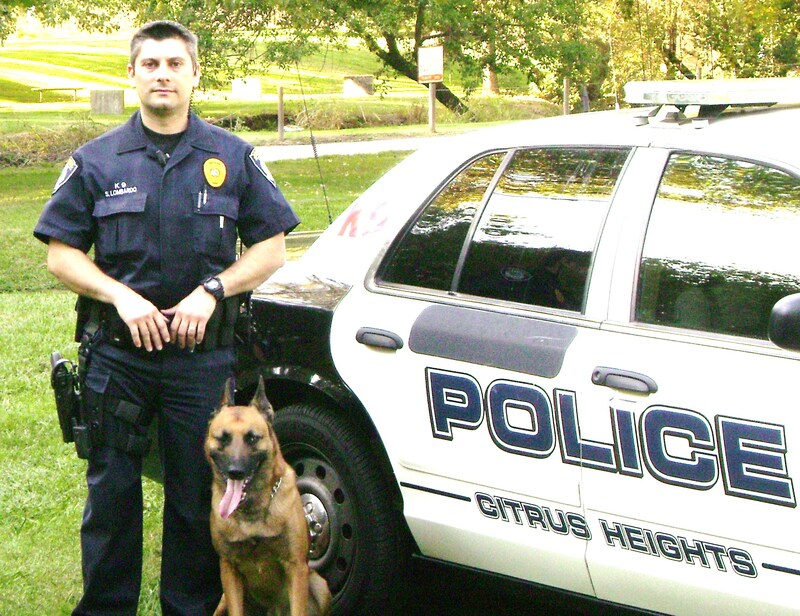 In 2006 he joined Citrus Heights where he became a K9 Handler. He was partnered with his first K9, Darko. Darko was a German Sheperd imported from Germany. Darko worked the streeets over a year, logging hundreds of searches and apprehensions, before he had to medically retire. He misses working, but is enjoying retirement. In September 2008, Officer Lombardo got a new partner, Bruno. Bruno is a young Belgian Malinois with LOTS of energy. He is trained in protection, narcotics, and tracking. Bruno has found lots of illegal drugs and really enjoys his job.